Longhaired small dogs are simply fascinating and beautiful. They are among the most favorite companion, toy and lap dog of many royalties from around the world. They are also the favorite choice for a pet by the famous and the rich. One of the cutest dog breed in the world is the Pekingese. It is ancient toy dog that originated in China and is known for its long silky hair. The King Charles Spaniel is a cute-looking tiny dog breed which is characterized by long curly on its ears and tail. This dog is believed to have originated in the Far East. The lovely-looking Phalene is a variant of Papillon. It is the drop-eared version of the Papillon. The Tibetan Terrier is a lovely-looking farm dog which is also used as a companion dog. It is also used to herd and guard livestock. The Skye Terrier is a unique-looking dog breed that appears to have noface because its entire face is covered by its long wavy hair it originated in the United Kingdom and is known to live up to 15 years of age. 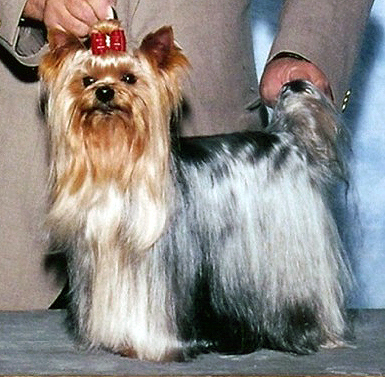 One of the most adorable dog breeds with long, silky hair is the Yorkshire Terrier of England, UK.